You’ve got your real estate website set up, and now you want to drive traffic to it. After all, the “build it and they will come” philosophy will only get you so far. You might see traffic increase over time, but only a little at a time. If you want to get more qualified leads coming to your website, then it’s going to require deliberate and consistent effort on your part. 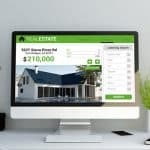 Here are several tactics you can use to drive traffic to your real estate website and capture leads. To drive results from your website, you’ll need to search engine optimize it. But with so much competition on the internet, it’s important not to go too broad with your marketing. Instead, you should be hyper-targeted with your marketing. 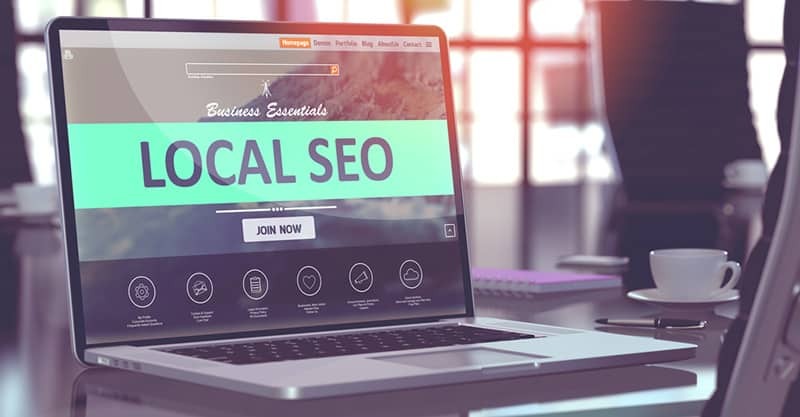 By understanding and implementing local SEO strategies, you’ll generate better results from your optimization and content marketing efforts. Choose your keywords. This process may involve some research. You’ll want to get a sense of what people are searching for to find a business like yours, and then sprinkle those keywords into your headlines, content, pages, and so on. Another good place to use these keywords is in your Google My Business listing. Words like “real estate New York” (or wherever your service is located), “realtor”, “real estate agent”, “real estate listings” might be a good start. Build your links. Inbound links have a significant impact on your rankings. Build links with entities that offer complementary services, as well as through property portals. I’ll talk more about property portals in the next section. Get reviewed. Get your satisfied customers to write reviews for you. This will let Google know you run a legitimate business. There are many places online they can go to review your service. Let them know exactly where you’d like them to review your business, such as on Google. You may have heard that SEO can be a full-time job, and while this isn’t an exaggeration, if you just apply the above tactics, you’ll go far. Just be aware that it can take a while for your optimization efforts to work, typically in the six to 12-month range. Your site should be mobile-ready. If you’re using a modern WordPress theme, it should feature a responsive design, making it friendly for tablets and smartphones. Your site should load fast. You may need to optimize loading times depending on how fast your site loads. The most important factor is always hosting, so you may look into upgrading your hosting plan. There are many property portals you can use to promote your real estate listings and services. When you’re first getting started, your website and business won’t be very visible online. It will take time to build up your presence. Getting seen on larger sites will help you get more traffic to your site and generate more leads. You should leverage property portals continually to grow your business and increase your online visibility. Note: Only utilize sites that are relevant to you. While it can be beneficial to create a presence everywhere you can, it can become difficult to maintain, and you’re unlikely to get good leads from low quality or irrelevant sites. 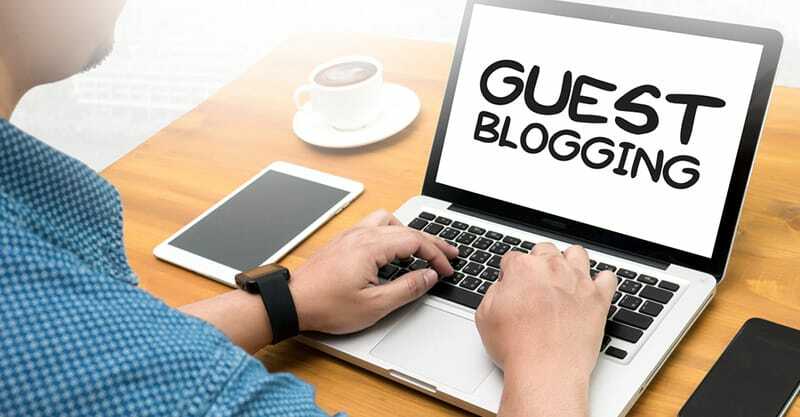 Guest posting has several benefits. 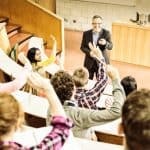 You can build your expertise and authority in your industry. You can direct more traffic to your website. You can increase your rankings in search. This tends not to happen overnight and will take considerable work. You’ll need to research your market, answer questions, create great content, submit it to pertinent websites, get it published, and then rinse and repeat. But if you or someone on your team can dedicate a good amount of time to guest posting, you will see results from it, and it can even become one of your top sources of traffic and lead generation channels. Note: There are plenty of other sites you can guest blog for. The best strategy is generally to identify blogs you’re already reading and keeping tabs on and submitting to them. This is because you’re already familiar with their style and the type of content they publish. If some of the above sites do not apply, or you can’t think of content that’s suitable for these blogs, simply move on and find other blogs where your content would belong. There is no magic bullet for getting your content published. Simply do your research, understand submission guidelines, make your pitch, and write excellent quality content other blogs would be proud to publish. It can be a numbers game, so be prepared for that. Print is a category that’s easy to forget as you look to drive more traffic to your site. 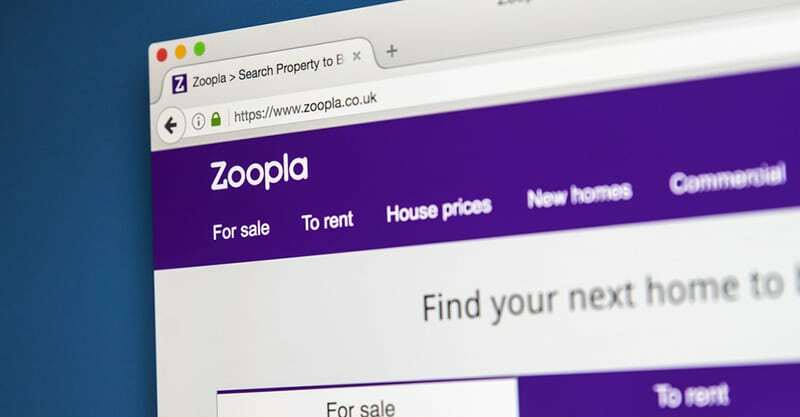 Marketers sometimes have trouble seeing the connection between online and offline marketing, but they can work together. Odds are you are already using flyers to promote different aspects of your business. 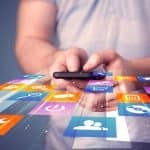 All you need to do is include links to your website and social media profiles in strategic locations, and you can begin to engage and even close your leads using the content you’re publishing on these platforms. Many people do not buy when they first meet you or find out about you. But if you’ve set up places they can go to learn more about you and what you do, the effort you’ve put into producing value-adding content can pay off big time. If possible, set up personalized URLs (pURL) for each person receiving a flyer, send them to a customized landing page, and convert them online. Can Word Of Mouth Increase Traffic To Your Property Website? 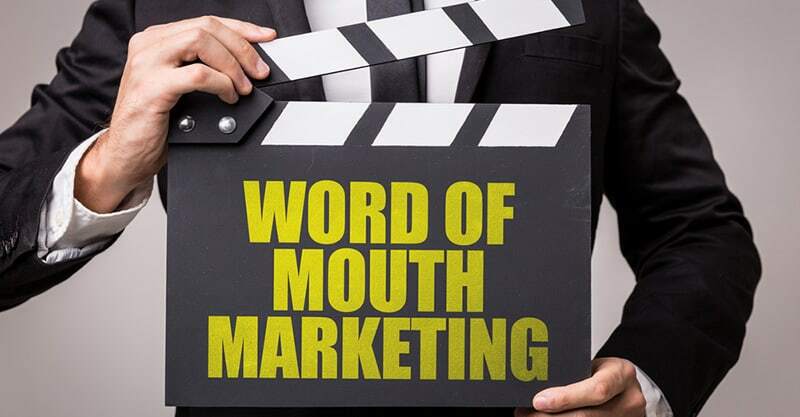 No matter what business you’re in, word of mouth tends to be one of the most powerful channels of marketing. If you can get others talking about you and referring you to their family and friends, your business will grow quickly. How do you get people to talk about you? Ask. You never get what you don’t ask for. So, why not tell your clients to spread the word about your business. Ask them to tell their friends or family if they were satisfied with their experience. Offer exceptional service. Place customer experience at the forefront and exceed their expectations. If people are impressed with you, there’s a better chance they will refer you too. Display testimonials on your website. 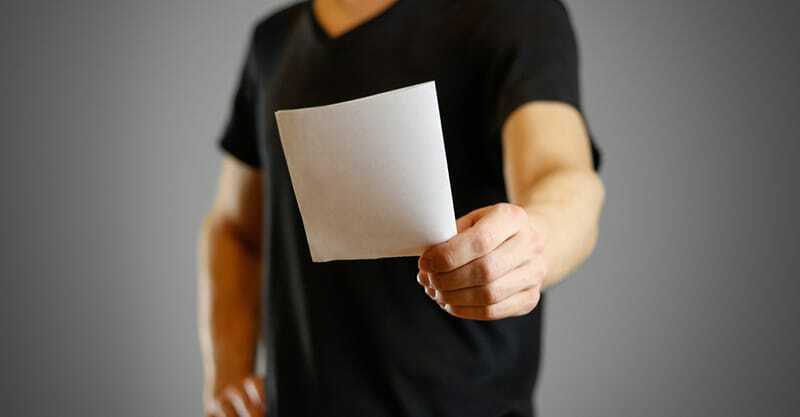 Whenever you receive a letter of recommendation or an exceptional review from your client, ask them for permission to publish a segment of it on your website, or even on your flyers. This gives you social proof, and others may want to join in and recommend your business as well. Offer something for free. It could be a report or a whitepaper, a seminar, class or course, or a handbook/guide. Give your audience something of value, and they will begin to spread the word about your business on your behalf.